Meg gives me a warm welcome during my interview visit. 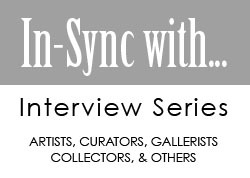 This post continues my series “In-Sync with…” aimed to get a closer look at contemporary artists and art professionals from Chicago and abroad. 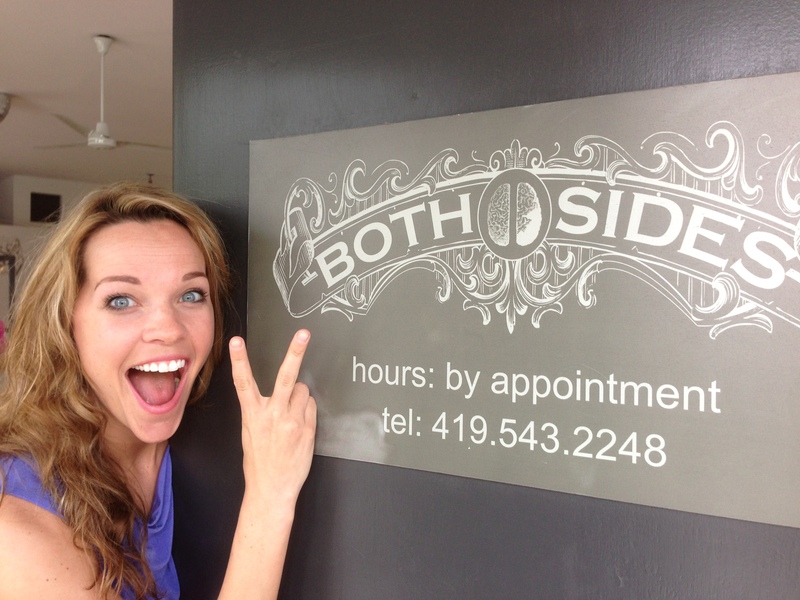 Read it, enjoy it, share it, and get in-sync with Both Sides Gallery director, Meg Frazier. I love discovering and learning more about exceptional people. Such is the case of artist/gallery owner Meg Frazier whom I recently met as I visited her gallery for the first time. Both Sides Gallery is a hub for art, education and community building programs in Pilsen’s art district. Meg’s energizing presence and positive/playful attitude towards life makes her the perfect fit for the type of gallery Both Sides has come to embody. This Saturday (June 8th), they will host a red carpet event for Canvass. A fundraising event to help the Dreamcatcher Foundation fight against Human Trafficking. (Read my post about Canvass here). 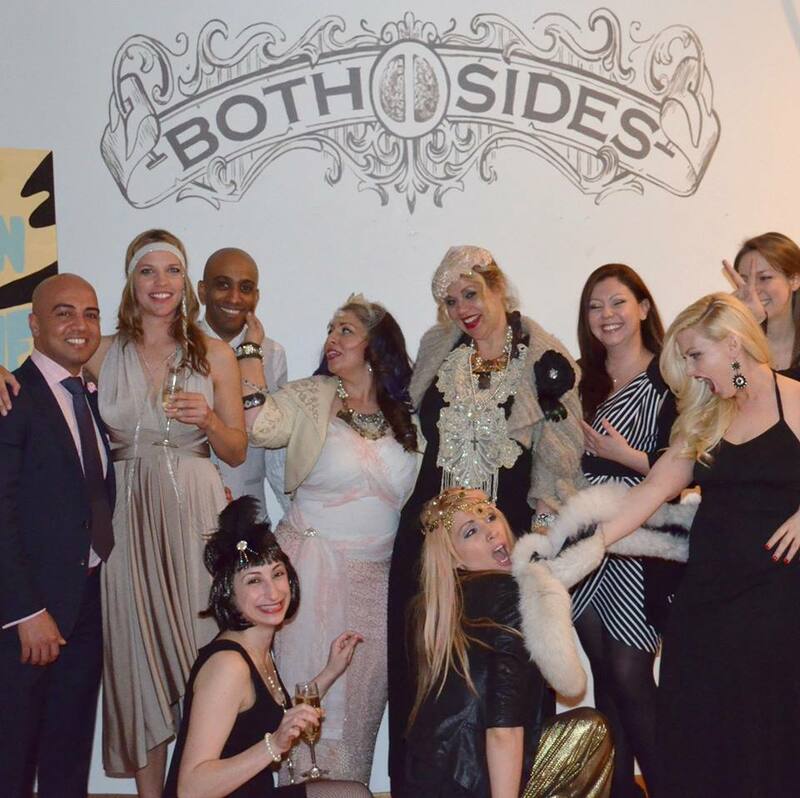 Don’t miss the event and check out Both Sides Gallery. Enjoy the interview and share it with your friends!!! Sergio: Where did you go to school (college/university) and what degree did you receive? Meg: I studied education and art at Defiance College in Ohio and I have a Bachelors of Arts with an emphasis in education. For the last two years of college and the year after I traveled abroad to Jamaica to study how I could teach other educators how to be more tactile and hands on with the skills I learned in college. Sergio: What is one thing you wish you had learned at art school? Meg: Education was my real focus in school, art was more of a minor for me, so I hope to take classes to grow more as an artist in the years to come. I loved figure drawing, and I have been painting for 10 years now, but it has always taken a back burner to teaching. My goal for the upcoming year is to focus more on my work and grow as an artist now that my gallery business is established. Sergio: What is your website? 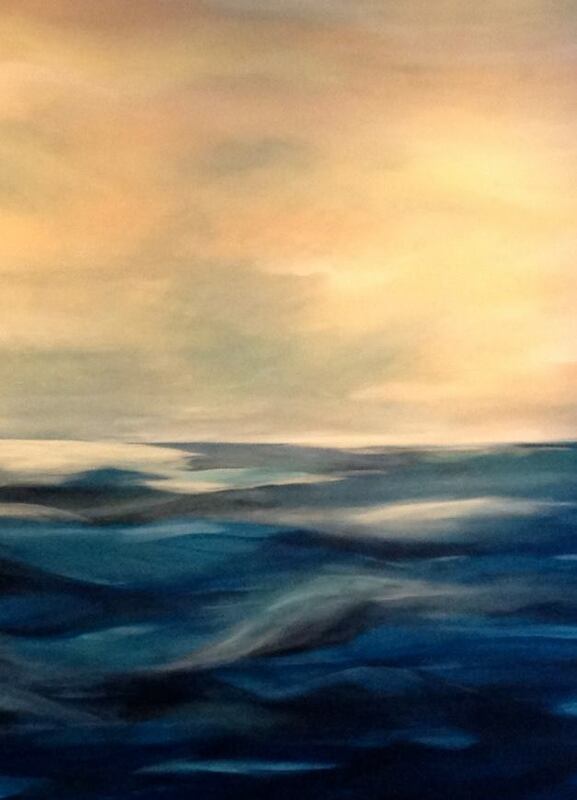 Meg: Our gallery website is www.bothsidesart.com and this fall my new works will be up on the site. Sergio: Why did you decide to open an art gallery? Meg: I worked as the fine arts director of 6 different charter schools in the city educating high school drop outs, and a lot of math and science remediation and art therapy was involved. My ultimate dream was to have a gallery that showcased my work and local working artists that was a constantly evolving space. I tried a variety of things I was interested in over the last year, and the things that were the most successful were the things I was the most passionate about. I love to teach, so we taught a lot of classes and workshops in our space. I also love hosting events, so our events were very successful due to the fact I took a lot of pride in welcoming people into our gallery in a very informal comfortable setting. To me, having people engaged with the art on the walls is the most important thing. Im in love with art process and the outcome, and the dialogue that happens when great art is showcased. 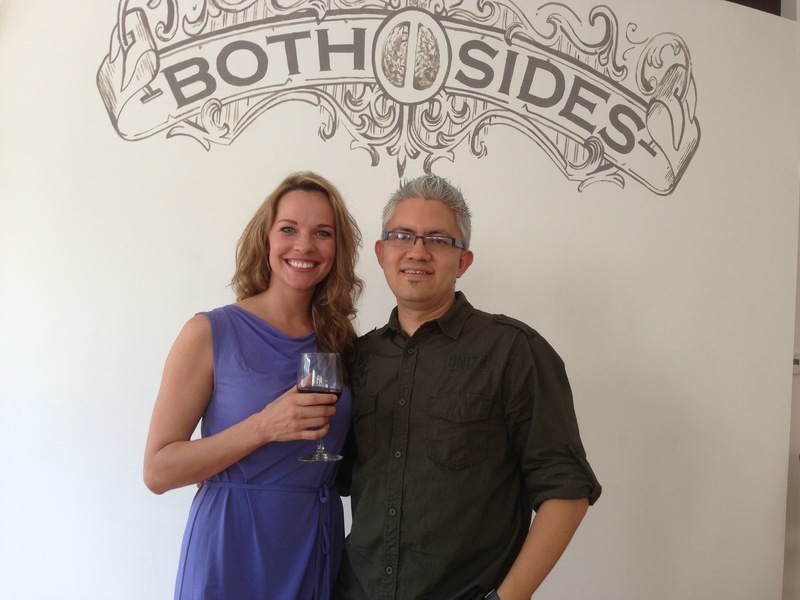 Sergio: Both Sides Gallery recently celebrated its first year anniversary. Congratulations!!!! What has been your greatest challenge to stay in business? Meg: My greatest challenge this past year was discovering what was most effective to my mission without compromising. My goal with Both Sides is to educate people on how to use their brain in a way that is progressive. That is a very broad statement. To be flexible and true to the world of subjective art as well as know when something lucrative does not stand true to my brand and have to say no to it at such a young phase of my brand way financially hard. Not thinking about the financial logistics and focusing on goals and outcomes is a great challenge for most artists, and at the end of the day, I am still just an artist trying to understand how to give my works to the community without compromising myself. Sergio: What is next for Both Sides Gallery? 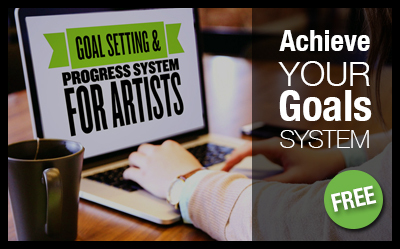 Meg: Another one of my goals was to set up a business model that other artists could adapt to and use to help them get started in establishing themselves. This fall Both Sides will be taking on their first artist in residence, Jillian Schavai. Jillian is a talented artist with a Masters degree from SAIC in creative writing and will be working in collaboration with me on works of art as well as upcoming classes within our gallery, including creative writing and private yoga in the mornings with the help of our natural light and peaceful space. 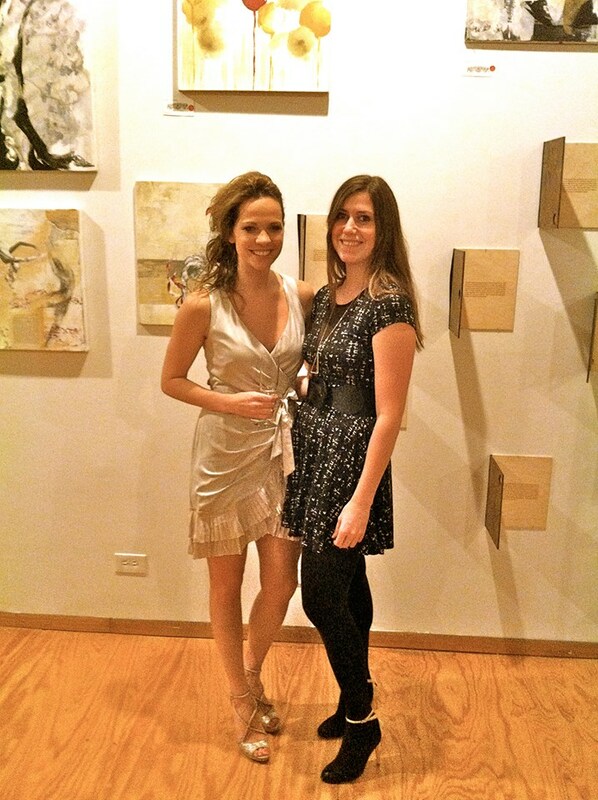 Jillian Shciavi and Meg Frazier at their collaborative opening. Sergio: As a young gallery owner, what would you like to see happening in the Chicago art community in the near future? Meg: My hope for the Chicago art community is that they gain a better understanding of how art can be used as a form of therapy as well as how important it is to embrace creativity in their everyday lifestyles. I strongly believe art is a mentally, not just something to be viewed and appreciated, and I hope community members become more active with the arts in ways that expand their thinking in artistic ways. Book… A Million Little Pieces by James Frey is one of my favorite books. The way it was written leaves little room for interpretation and paints a picture of raw feelings inside of a person going through an experience in a way that I felt was easy to relate to even though I had not when through such an experience. Art movie or documentary… Exit Through the Gift Shop is probably the most recent documentary I connected to as it showed the difference between an artist who really stands for their craft and how easily other artists try to give false ideals to those unknowing of who they are and their talent level. Art museum… Recently I saw my favorite painting by Marcel Duchamp in The Philadelphia Museum of Art and fell in love with the place. The rooms were separate enough that you did not feel overwhelmed. Contemporary artist (other than yourself)… Right now my favorite contemporary artist is Kalicia Chavez, she is 7 years old, comes into my space for lessons at 3pm almost everyday, and shows me how to be free with my work and playful. Place to be inspired by… I am inspired by everything around me and feel very close to God as I work in my element daily. 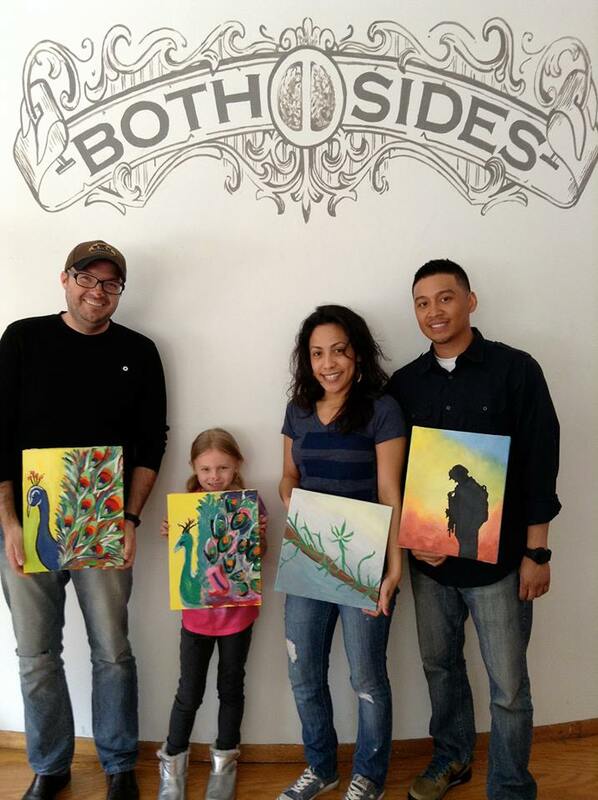 Both Sides is an inspirational place for me, it is a magical place where I am growing, people are coming in and out and growing, and art is being shared. I am inspired by growth and ideas, and that comes through my gallery doors daily. Chicago cafe/restaurant… If I owned a restaurant in the city it would be 3 Aces on Taylor street. It embodies the classic roots of my upbringing and the inner rockstar I think I may have been in another life.